Back in February, the Winter Olympics brought news of a bizarre rescue mission involving the Jamaican bobsleigh team and beer company Red Stripe. 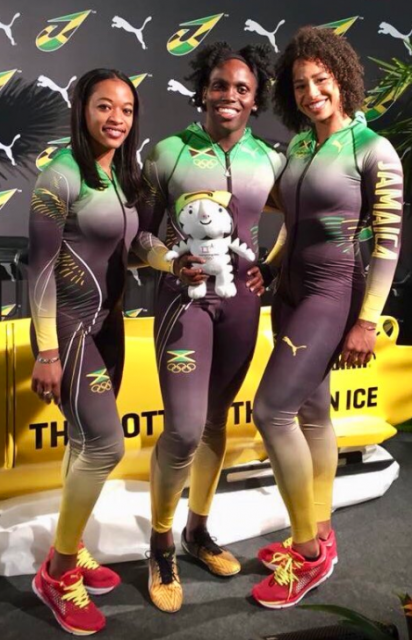 After the Jamaican women’s bobsleigh team were left without a sled when a team coach quit just days before their first-ever Olympic appearance, Red Stripe stepped in, offering to fund a new sled on Twitter. In a move that might just prompt a Cool Runnings sequel, Red Stripe said: “No bobsled, no problem. If you need a new ride Jamaican Bobsled team, put it on Red Stripe’s tab”. The brewer told the team to send a message to arrange the deal. Later speaking to the Gleaner, JBSF president Chris stokes said: “We have been gifted a bobsled from Red Stripe. We have accepted their generosity and we are currently preparing the sled.